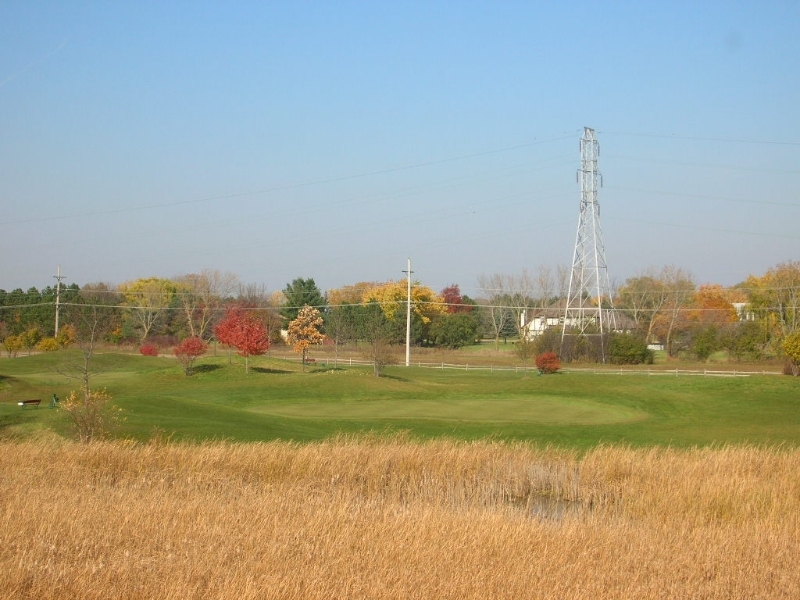 While researching and preparing to write the review about the Grayslake Golf Course, I came across the popular children’s story entitled “The Little Engine That Could”, which, in a number of ways describes the story of this short, 9-hole, par-27, course up in Lake County. 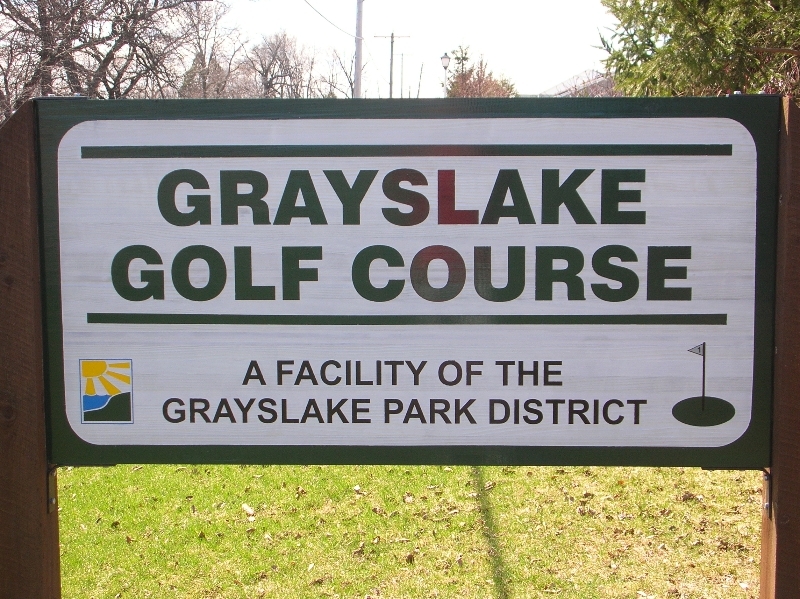 Grayslake Golf Course is the 9-hole, all par-3 course, operated by the Grayslake Community Park District, that got underway with a “soft opening” (trailer as clubhouse, and limited hours) on September 15, 2000, and then officially began operations on March 31, 2001. 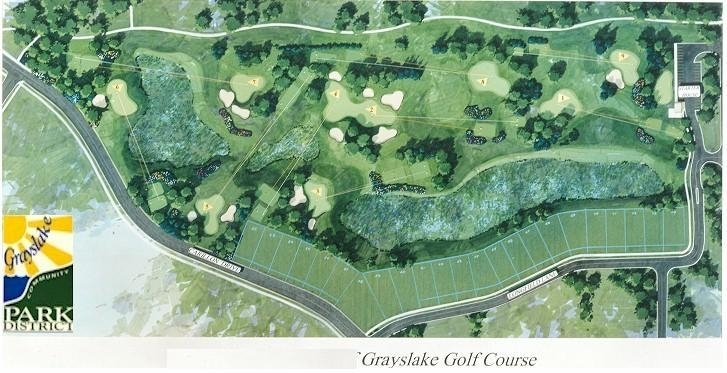 This 20-acre golf course was ‘gifted’ to the Grayslake Community Park District by Cambridge Homes, the developer of Carillon North of Grayslake, the 360-home ‘adult housing community’; the course acted as an enticement to sell Cambridge’s adjacent properties. 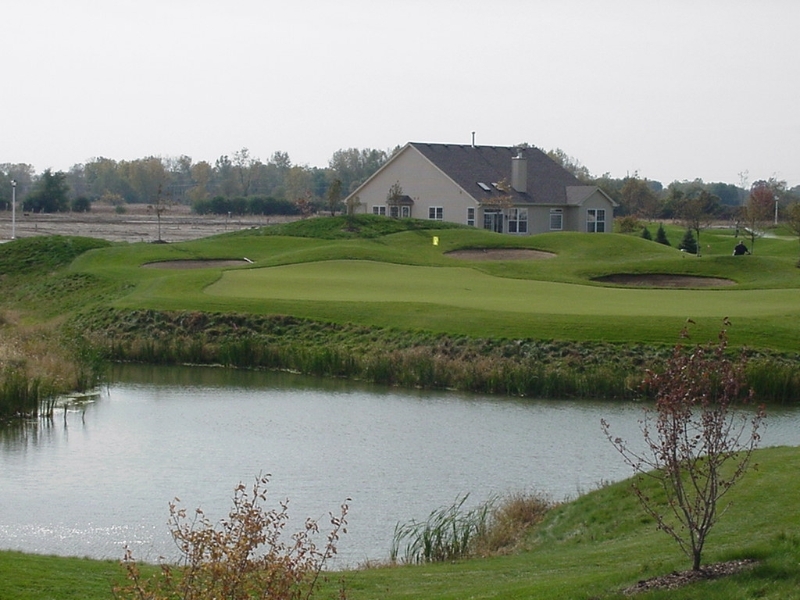 Cambridge Homes hired Greg Martin, golf course architect from Batavia, IL, to design the course. Of the twenty acres of land set aside for the course, 6 acres are protected wetlands, and another 3 acres are detention storage, leaving just 11 acres of terra firma to route 9 golf holes. Martin skillfully used the land and the water in his placement of the routing, as the water acts as hazards in the middle of the property and the middle of the round (holes 3 through 7). 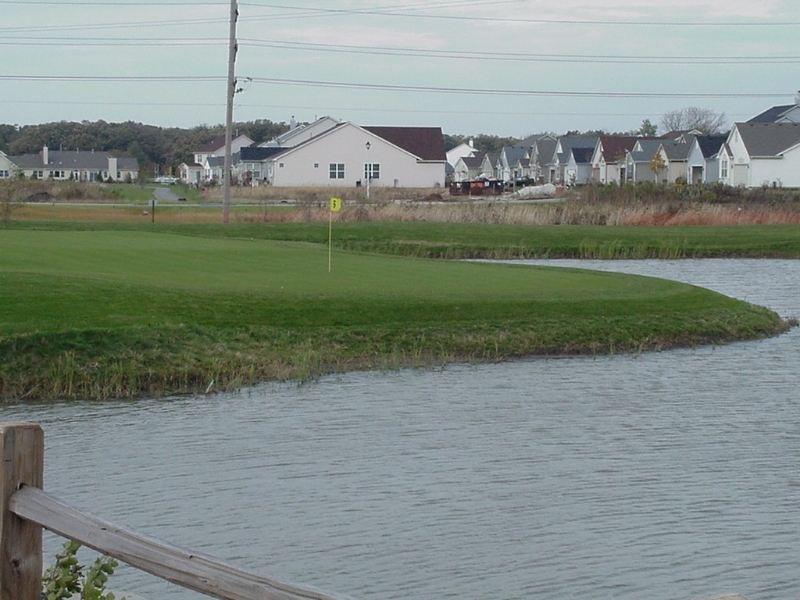 “There isn’t a lot of room for nine holes on (approximately) 20 acres, so we had to incorporate the water to its fullest potential use (hazards)”, Martin said. 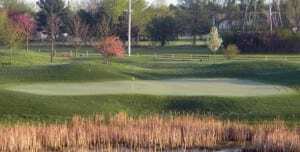 Martin had more tricks up his sleeve on dry land, as he went on to say, “Mounding is an integral part of the Grayslake Golf Course. It serves a three-fold purpose: it provides separation for each hole from the others, while acting to deflect slightly errant shots back toward the target, and, it adds interest and challenge to each putt”. There are 13 well-positioned bunkers (sand) at the Grayslake Golf Course which intimidate and gather. GLGC’s teeing areas and minimal fairways are Kentucky Bluegrass; the greens are Pencross bentgrass; and the rough and mounds contain Fescue. 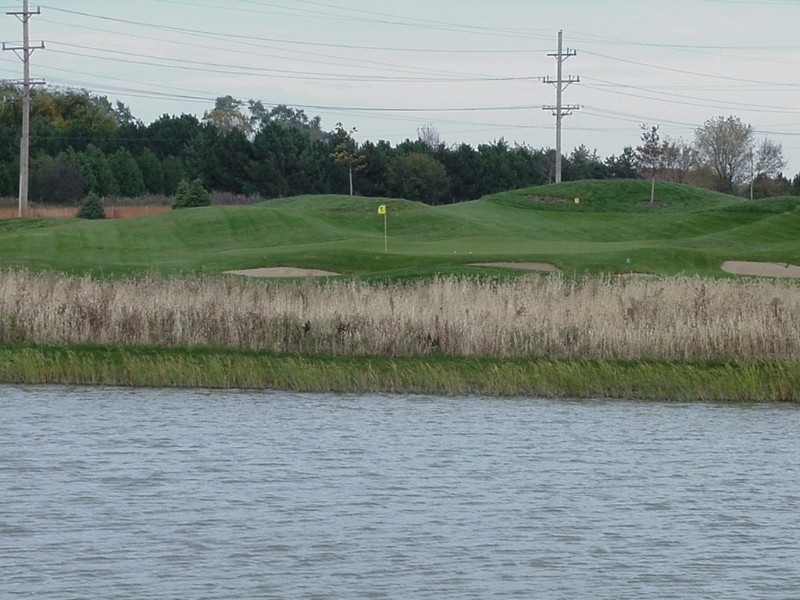 As mentioned, total par for Grayslake Golf Course is 27 — nine holes all of which are par-3’s. From the back tees (blue), the total length of the course is 1187 yards; here, the hole distances vary between 100 yards (shortest, hole #3) and 165 yards (longest, hole #7). Additionally, a second set of tees (red) offers a shorter total length of 965 yards for the entire course. A set of novice tees (white) and penalty drop areas can shorten the course distances even further, right down to pitch-and-putt length. 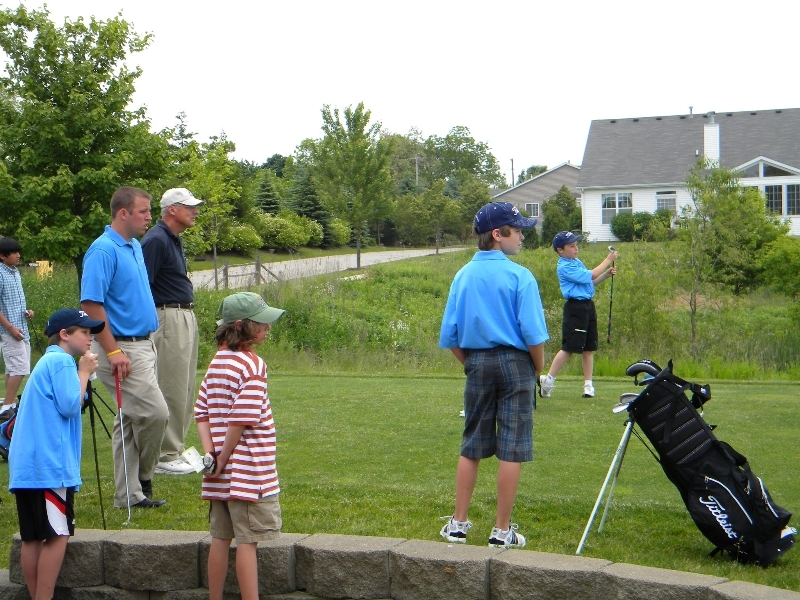 For 2013, the Grayslake Golf Course has a new general manager. 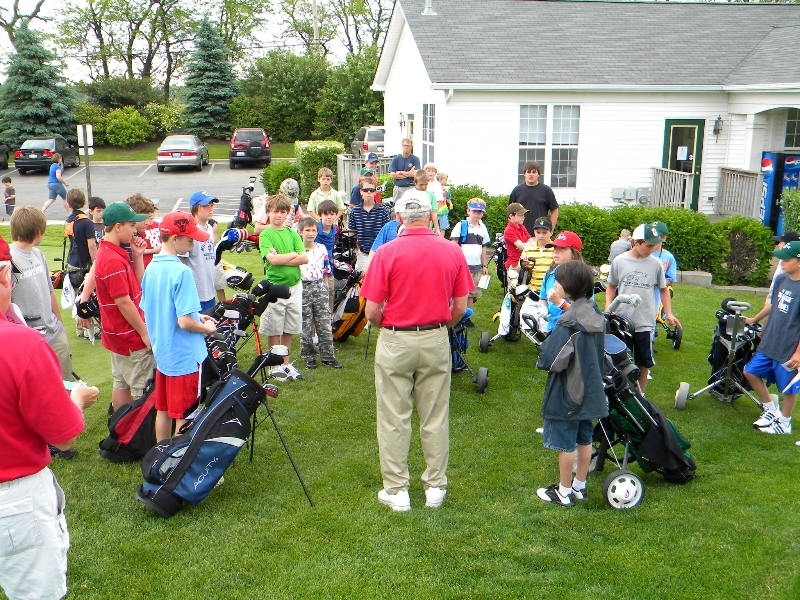 Mike Perez, who worked for 18 years at neighboring Renwood Golf Course as the Director of Instruction and Assistant Golf Manager, now heads up the GLGC staff. Mike received his certification from the United States Golf Teachers Federation in 1995, and became a USGTF Master Teaching Professional® in 1999; he was selected by the USGTF as its 2008 Golf Professional of the Year, and in 2010 was inducted into the USGTF Hall of Fame. 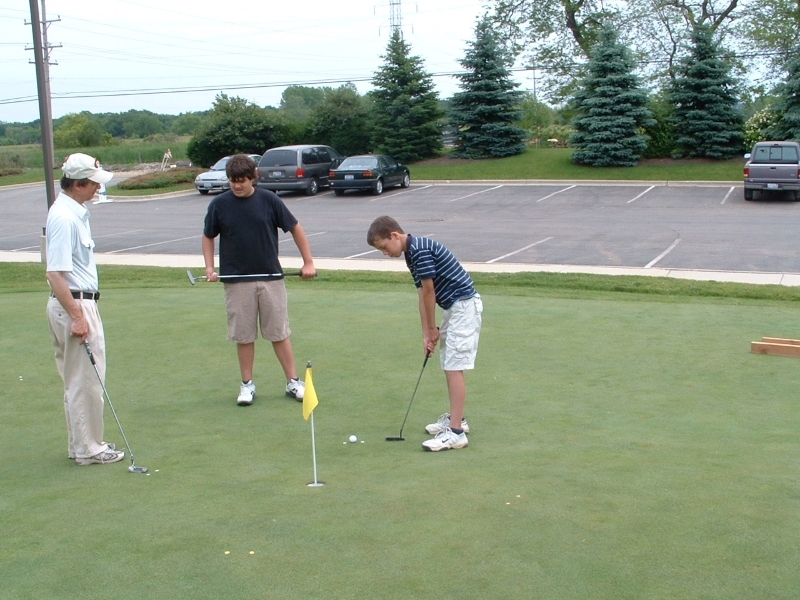 The Grayslake Golf Course might well be the little course that could be the perfect place to start golf as a beginner. 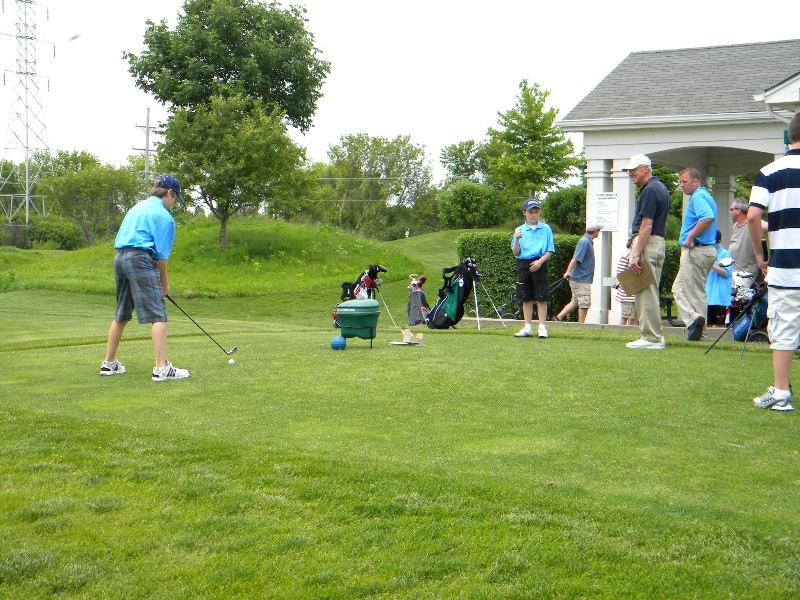 The Grayslake Golf Course might well be the little course that could be the birthplace of future golf stars as it runs a very popular in-house junior league; sponsors a team in the North Suburban Junior Travel League; and has produced junior golf graduates who have won spots on many local high school teams and on the local College of Lake County team. 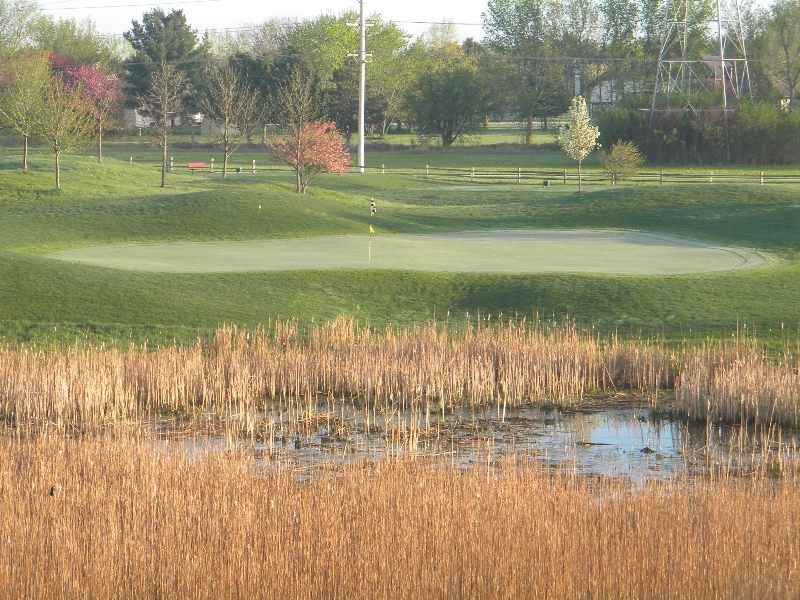 The Grayslake Golf Course might well be the little golf course that could be the most beautiful short course in the state (see photos below). The Grayslake Golf Course might well be the little golf course that could be the most difficult and frustrating you’ll ever play (keep saying to yourself “I think I can, I think I can…break par). 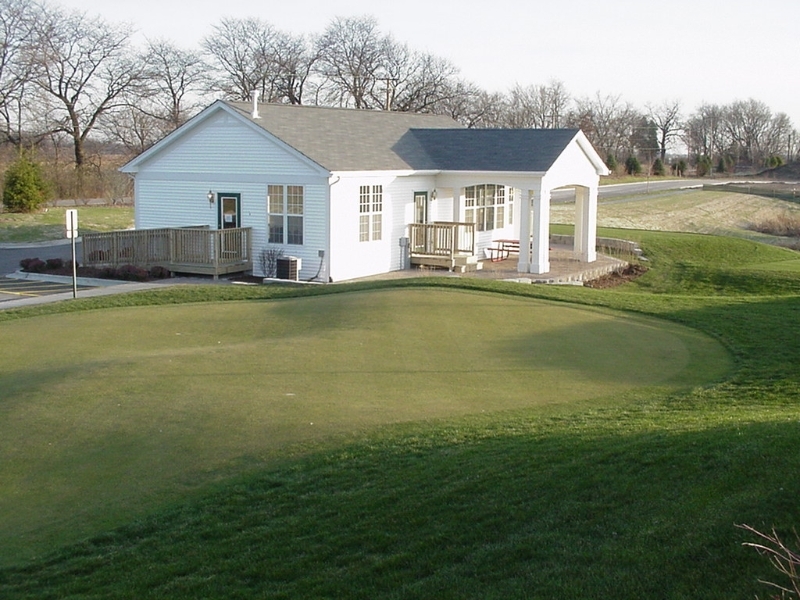 The Grayslake Golf Course might well be the little golf course that could be the most difficult to find (no major roads; hidden from view by Carillon North Senior Community and Rollins Savannah).